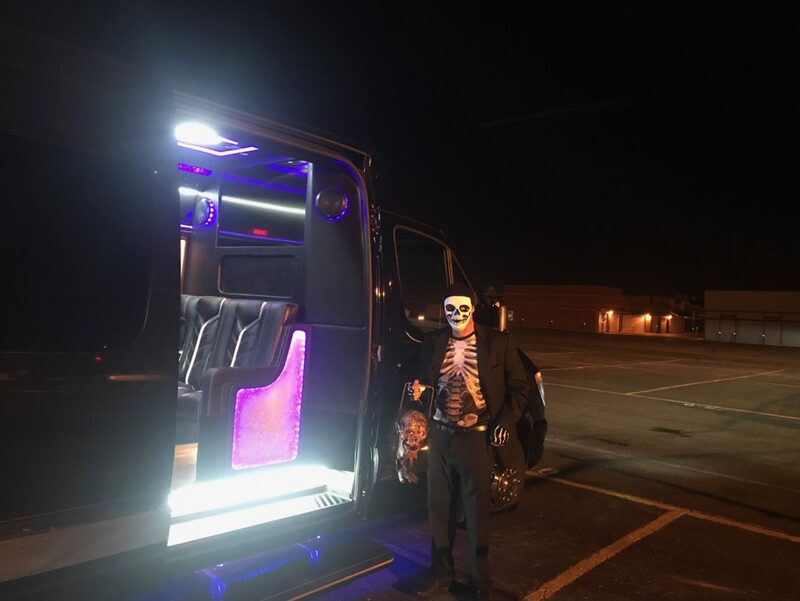 Putting the ‘BOO’ into ‘BOO-k The Best Limo In Denver’. It’s that time of the year again! Sunset’s famous Denver Halloween Terror Tour includes VIP passes to some of the most frightfully cursed haunted houses in Denver, with complimentary horror movies being played in between haunts – and if the horror inside these Denver haunted houses gets too intense, just remember that you will be safe inside one of our luxurious, well-lit limos! The Original And Still The Best. Sunset created the Halloween Terror Tour back in 2005. ‘RIP VIP’ – Front Of The Line Every Time! We will already have your tickets: unlike other limo companies who will drop you off to wait in line for tickets, we put you at the front every time. Five Attractions For One Low Price. Three at City Of The Dead, and two at Frightmare Compound – that’s a lot of fear for one night! Want To Plan Your Own Terror Tour? Let us know where you want to go and we’ll offer you a terrific price for the limo! Don’t Go VIP, ride ‘RIP’ with the Sunset Terror Tour! Includes four hours of limo service. Includes complimentary soft drinks & water. Full bar available on request. Price of $140 per person available with minimum party size of five people.